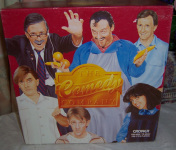 VINTAGE AUSTRALIAN BOARD GAME "THE COMEDY COMPANY"
Do you remember the hilarious TV show called "The Comedy Company" with the characters of Con the Fruiterer, Kylie Mole, Uncle Arthur, David Rabbitborough, Colin Carpenter and Russell the Postie? We have a board game based on this TV show. It is in great condition and is complete including its instruction sheet. "The Comedy Company is just about to go to air but the characters are scattered all over Pittswood Shopping Centre. As trainee TV producer your job is to tract down three of them and then catch the bus back to the TV studio. Sounds easy enough but things keep changing along the way. You will need luck and strategy to win the Comedy Company." To tag the three Comedy Company characters on your PURSUIT CARD by placing a MARKER on the same square as each of them and then make yur way back to the BUS STOP. SOUNDS LIKE LOTS OF HILARIOUS FUN. This is a great family game. This game has proven over time how popular it is as it was first produced in 1955. Our game was made by Crown & Andrews in 2014, and all pieces are present and whole thing looks like it has had very little use if any. 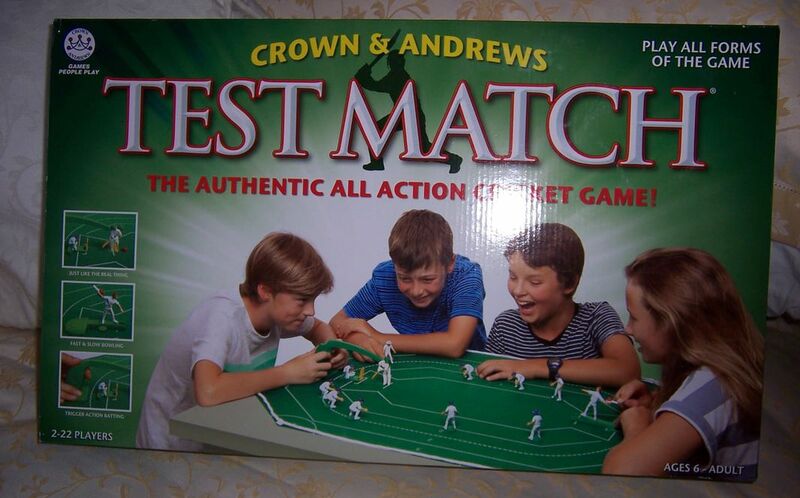 ''This Test Match game incorporates some new features. The overarm bowling action can be fast or slow. A heavy ball is now standard to enable easier and more accurate batting. The barman works with a trigger action for a faster respomse and the fielders can ''catch'' the ball between their feet. The box itself is in excellent condition except for some indentations in the top lid - see photos. GAME IS COMPLETE EVEN INCLUDING THE TWO RED BALLS!! 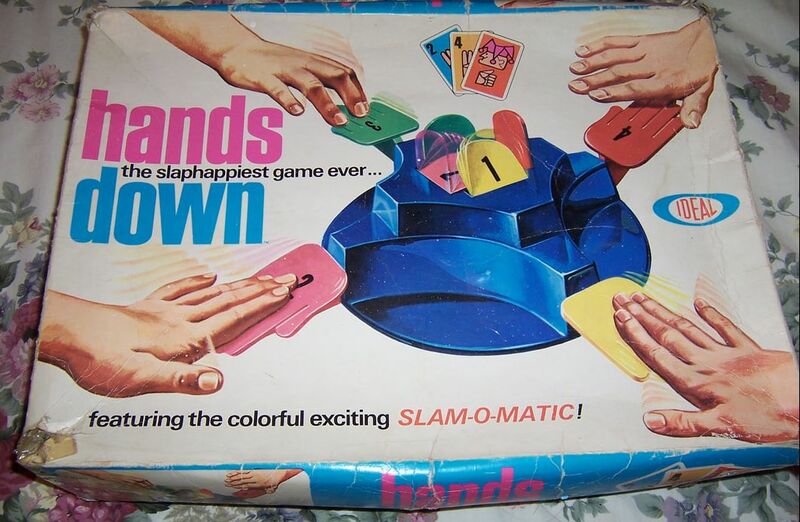 This is the rare vintage 1964 original edition of (Hands Down) Slam O Matic game by Ideal. It is the original edition of the new game of Hands Down that made a comeback in circa 2008. This childrens game is fast and exciting for 3-4 players and is recommend for ages 5 and up. The object is to ''play the most card pairs by slapping your Slam O Matic hand''. The object of the game is to make the most pairs, and if you are the last person to ''slap in'' after a pair is played then you lose a card from your hand. The complete instructions on how to play the game is in the lid of the box. We have counted the cards and they are all present. This collectible game will bring back lots of memories.